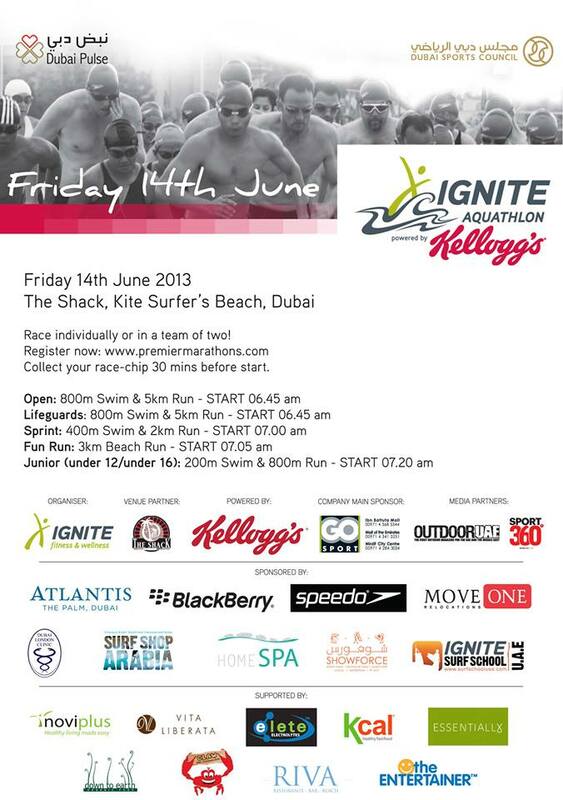 Move One are proud to be sponsors of the second event in the Ignite Aquathlons Series 2013 which will take place at The Shack in Umm Sequim on 14 June. The event is open to all ages and all levels of skill and experience to date. The event will be a family affair with kids and parents all participating. For the first time there will also be a new team category for Life Guards!